From the Middle Ages to the 19th century, plainchant was sung polyphonically all over Europe in a great variety of ways. It is no exaggeration to say that for centuries it epitomised the sound of church music for congregations. Faux-bourdon was a means of solemnising the Divine Office by embellishing the plainchant melody. This double CD featuring Dominique Vellard and the Ensemble Gilles Binchois is the result of four years� work � four years during which several thousand manuscript and printed examples were identified. It offers a selection of this music that reflects the variety and diversity of four centuries of French polyphonic plainchant. 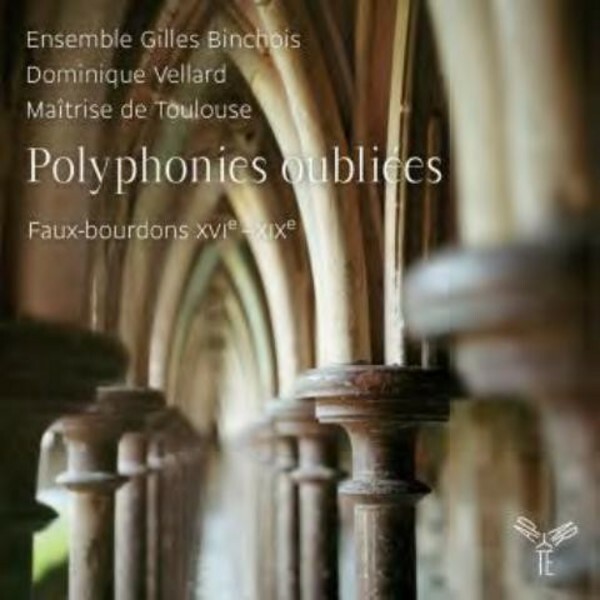 Dominique Vellard has been the inspirational driving force behind the Ensemble Gilles Binchois � more than three decades of research and performance that have led to the creation of some essential recordings in the field of medieval and early Renaissance music.